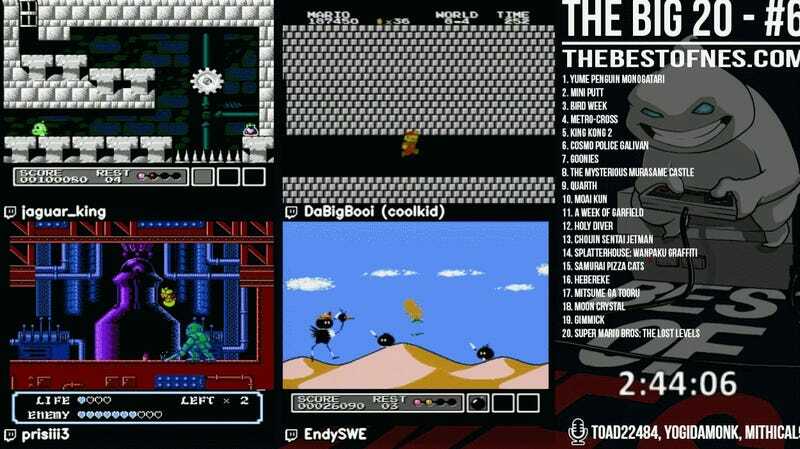 Speedrunner Coolkid, aka DaBiGBoOi, won this weekend’s sixth ever Best of NES Big 20 Race, a competition in which players see who can finish a bunch of old NES games the fastest. His time? 2:44:11. It was over ten minutes ahead of the second place finisher, Jaguar King, and better than anything the players had achieved during their practice runs leading up to the competition, giving Coolkid a commanding finish well ahead of his rivals. 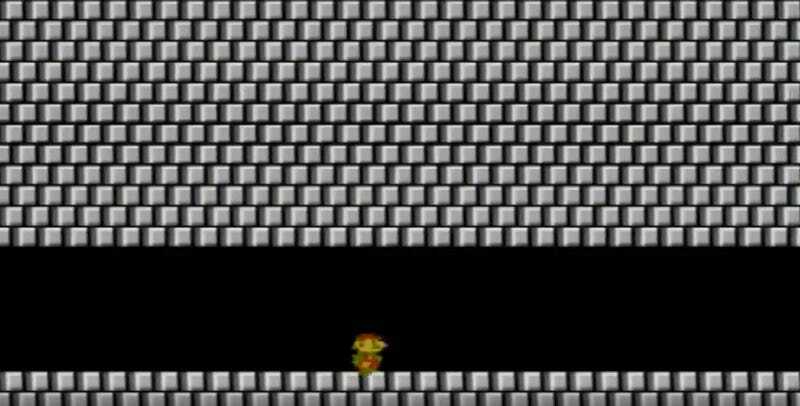 However, his lead almost vanished toward the end of his quest when an a poorly timed jump in the final Bowser’s castle of Super Mario Bros.: The Lost Levels left him with only one life left. If he died again, it would have sent him back to the beginning of World 8 and given his opponents time to try and catch up. You could see the tension on the screen as Coolkid’s Mario hesitated every so slightly in the final moments, hugging the platforms hanging above the lava cautiously as if he were second-guessing himself. But after returning to point where he’d previously died and gliding safely across the chasm, picking up a mushroom along the way, Coolkid’s was able to make it the rest of the way without a hitch, completing twenty games in under three hours, including obscure ones you’ve probably never heard of like Samurai Pizza Cats and Yume Penguin Monogatari. Coolkid practicing for the competition on the tiniest TV he owns, via Coolkid. Speedrunner Toad22484, the winner of many a previous Big 20 races, was in the commentator’s seat this time watching the players instead of competing alongside them, so some of Coolkid’s stiffest competition was effectively on the bench. That said, the winner of the most recent tournament is a beast in his own right, holding a slew of different speedrunning world records including the fastest time for beating the original Mega Man at 18:35. Coolkid spent a number of sessions practicing for the latest tournament, something that can be as grueling as any other type of training, especially when it can take hours just to reach some of the areas in a run most worth practicing. In the end, Coolkid was able to shave over five minutes off his final time as he played in the days leading up to the competition. Like any race, every second counts, even when some of them are spent slicing through enemies as a cat decked out in samurai armor.